I Have Frogspawn, Now What? First and foremost, you will need a place to put your frogspawn. If the spawn has been laid naturally in an outside pond, it is unlikely you will need to move it. If you attempt to move it, you could end up sinking the spawn which would cause the eggs to stop developing. If you have been given frogspawn or ordered some online, you may decide that caring for them indoors in a small tank is the best option for you. The tank should not be too deep and you will likely need to put rocks and stones in the bottom. The weeds will already have some algae and bacteria on them, which will serve as the tadpoles' main food source until they develop their back legs. (They become carnivorous after this point). After your tadpoles hatch, they will not require food for the first 24-48 hours as they will rely on the protein from which they hatched. This protein will sustain them for the first few days. Once this has been absorbed fully and they become hungry, they will swim around your pond looking for food. Please note here that if you want to keep them in a tank, the water must be rainwater. Tadpoles will die in tap water as the PH balance is not stable (the water is too hard for them to survive). The other reason you should have rain or pond water is so that algae can form, as this is the main food source for your tadpoles during their first week of life. 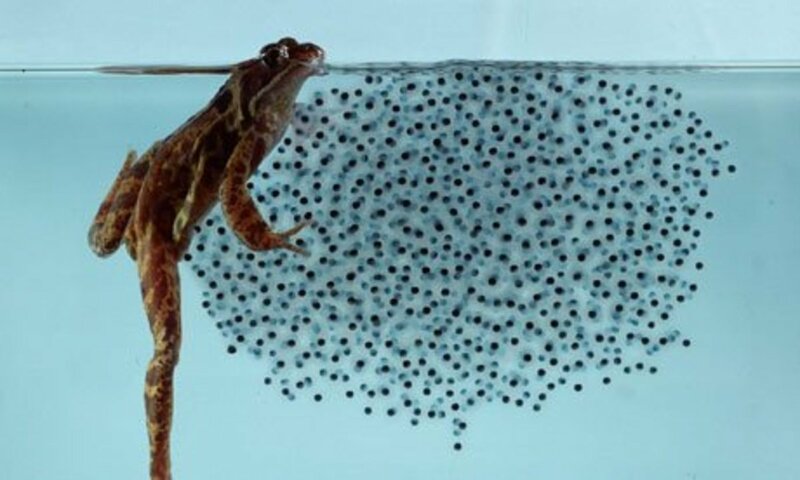 Remember that just because the frogs have laid what may seem like thousands of eggs, not all of them will hatch, and once they do it is unlikely that all of them will make it into adulthood. Oh, and of course once they are adults they still have a huge number of natural predators such as birds and cats to contend with, so out of 100 eggs, you may only end up with 6 or 7 adult frogs! If you have been an exceptional foster parent to the frogspawn and most of it hatches and you feel inundated with little tadpoles, ask neighbours, friends and family members if they would like some for their own ponds. Even local schools may want to take some off your hands as a class project! What Should I Feed My Tadpoles? 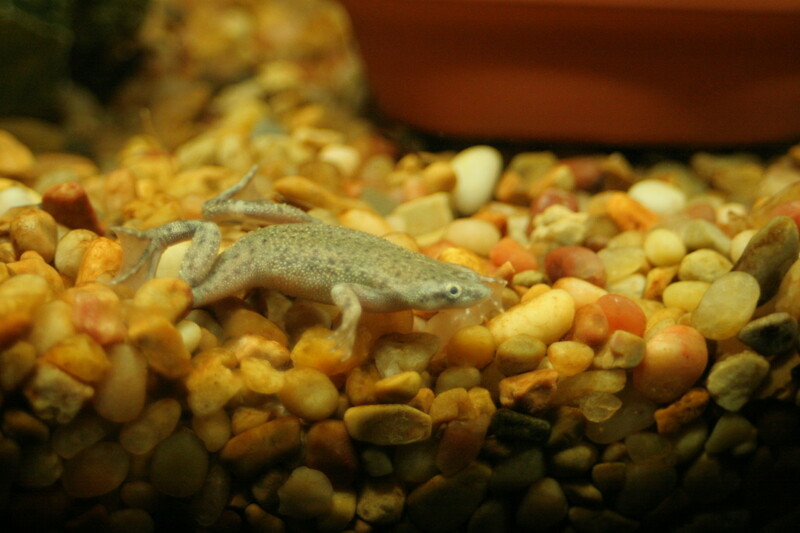 Once a tadpole has developed it's back legs, it will be ready for something more substantial than just algae and a popular choice with most gardeners who take care of the tadpoles is cat food. Just one or two chunks cut up will keep the tadpoles happy. Ensure you don't put too much in the tadpole's tank because the excess food will cause the water to go bad, potentially killing the developing tadpoles. It can be tempting to put your hatched tadpoles straight into the garden pond - especially if you have nice weather, but remember that if you have fish in the pond your tadpoles won't stand a chance. Fish eat pretty much anything that moves (providing it is small enough) and tadpoles very rarely manage to hide well enough from greedy goldfish. Tadpoles will appreciate greenery being put into their tank: most people report that lettuce goes down well, along with other leafy greens. At some point, the tadpoles will require more nutrients, vitamins and protein than what they can absorb from plants and algae and they have been known to eat each other if these needs are not met! 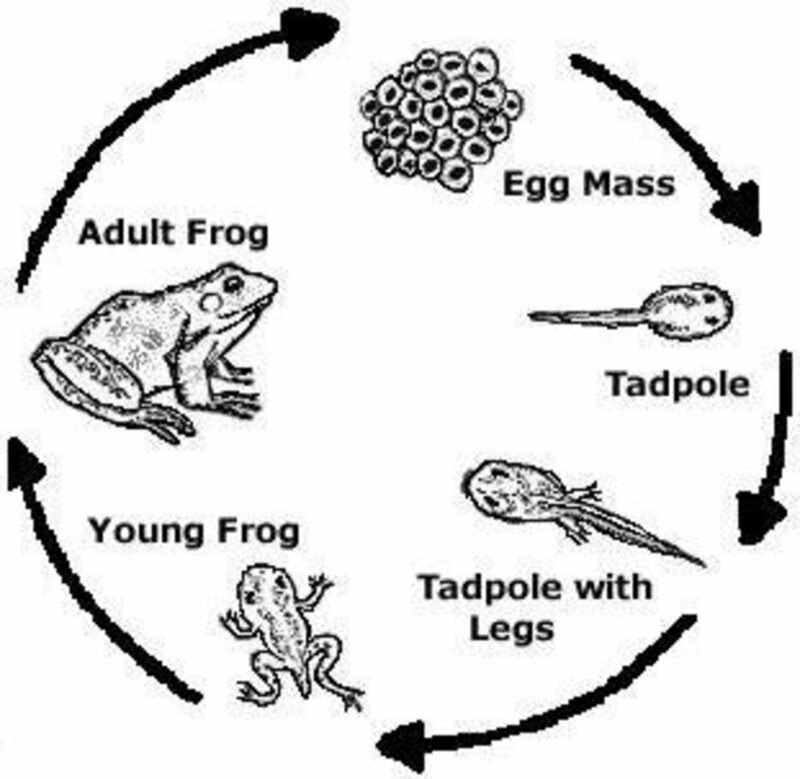 How Long Until Tadpoles Become Frogs? Nature is a wonderful thing and the process of metamorphosis for the tiny and vulnerable tadpoles is a surprisingly quick one! 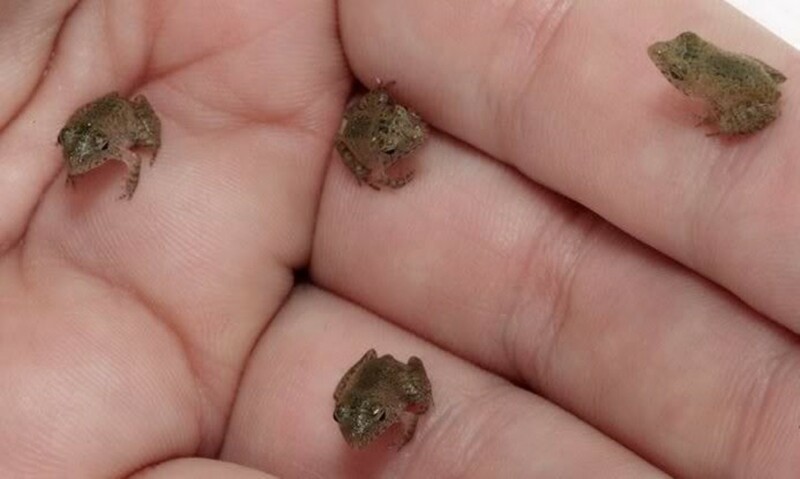 They will start getting arms and legs before their tail shrinks and they turn into a little frog. The whole process takes around 12 weeks, and by 16 weeks, the frog has finished growing completely. You may find that you see tadpoles as well as froglets. And this is perfectly usual: they will just all have very different rates of growth. Eventually they will all become frogs - some just take a bit of extra time! Wonderful work. I never realized that you could raise tadpoles in captivity. This is a great way to observe tiny frogs. When I was a young girl, I got a tadpole for my birthday once, from my grandmother. You would have thought she had given me a million dollars, I was so excited! 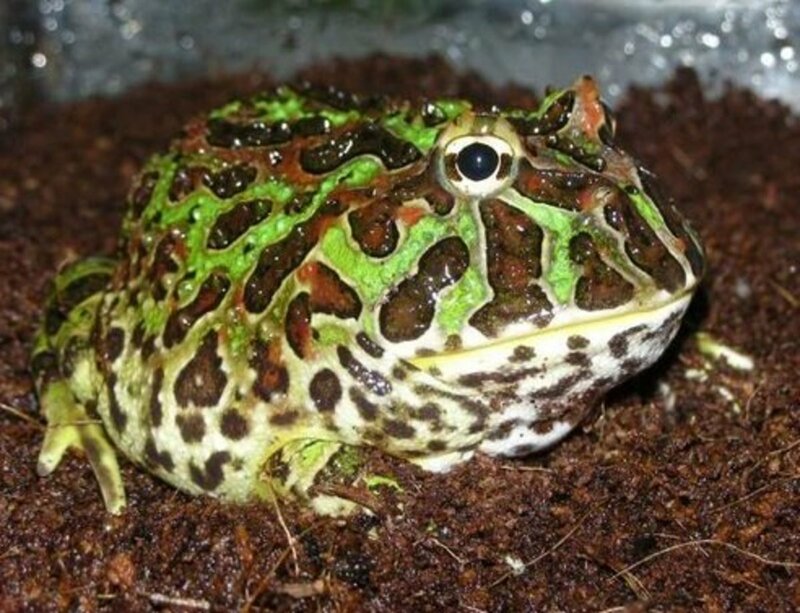 I have always loved frogs, and think this is a great hub to share, so thank you! When I was a child we had a stream behind our property and saw a lot of these guys. I can't remember ever feeding them though, but I imagine we probably did. There were what seemed to be hundreds and hundreds, however only a few made it through the season. Haven't thought about that place for years; thanks for the memories and information.